Cast members of “Atlantic: A Scottish Story” perform a showstopper at the Edinburgh Fringe Festival in Scotland. Communication senior Reed Lancaster hails from England, attends college in the U.S. and, over the summer, played a Scot. As Quinn in “Atlantic: A Scottish Story,” one of two musicals produced in a collaboration between Northwestern and the Royal Conservatoire of Scotland, Lancaster immersed himself in Scottish culture to play the show’s lead. The musical premiered at the Edinburgh Fringe Festival in August. Thousands of people from across Europe and the rest of the world flocked to Edinburgh for the renowned amateur theater festival — an event Lancaster described as “tightly organized chaos.” University President Morton Schapiro and School of Communication Dean Barbara O’Keefe were among the attendees. At the center of it all were a handful of NU actors, three recently graduated writers, Communication Prof. David Bell and their musicals — the crown jewels of a year-long undertaking by the University’s American Music Theatre Project. The two musicals explore similar themes of transatlantic separation and interpersonal discovery from opposite perspectives and were performed on alternating days throughout the festival. Planned as two acts of the same show, the musicals, though written by different teams, are thematic sequels. “Atlantic: America & the Great War,” written by Christopher Anselmo (Communication ’16), Desiree Staples (Communication ’14) and Ryan Bernsten (Communication ’14), tells the story of a Nebraska girl who travels to Europe during World War I. “A Scottish Story,” written by members of the RCS, portrays a Scottish girl receiving letters from her boyfriend — Lancaster’s character, Quinn — as he explores the U.S. in the 19th century. With the project, Anselmo, Staples and Bernsten revived a connection dating back to their days at NU’s annual Waa-Mu Show. Staples and Bernsten served as head writers of the Waa-Mu Show in 2013 and were co-chairs in 2014, while Anselmo worked as a musical composer for the show from 2013 to 2016. 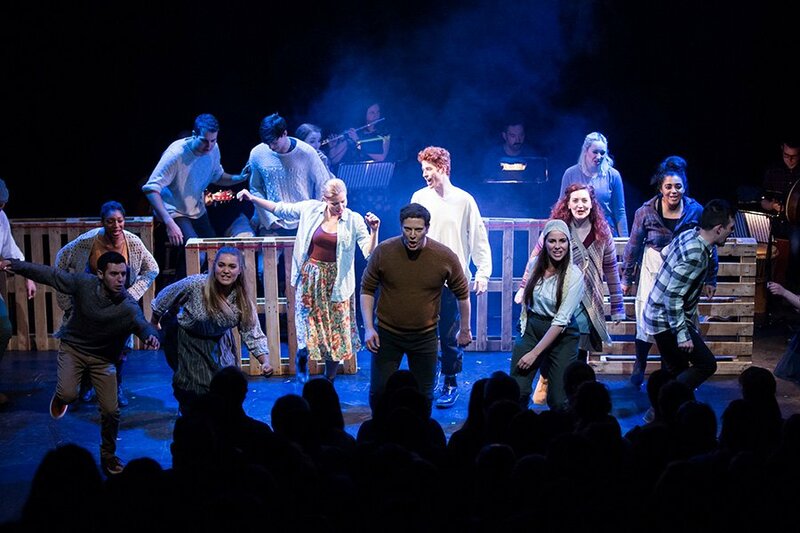 Eleven Northwestern undergraduates and 21 RCS master’s degree students, divided into two teams of 16, performed the two musicals on stage in Scotland. Many of the characters were written with specific actors in mind, Anselmo said, helping bring the shows to life with the “new blood” provided by a mixture of Evanston- and Glasgow-based performers. Lancaster said his experience in the Scottish show was exceptionally positive because he felt his fellow actors and the producers created the story organically, rather than forcing him into a predetermined role. In between preparing for a role she never expected to fill, Issa said she noticed a great difference in the music each show employed. One of the most distinct differences, Anselmo said, manifested at the conclusions of songs. Anselmo and his fellow NU writers followed the American standard of ending numbers with an emphatic note known as a “button,” but the Scottish writers instead gently meshed their songs within the scenes. The number of spectators who noted the difference taught him about the intelligence of Scottish theater audiences, he said. The theater festival, widely considered the largest in the world, annually attracts an eclectic mix of performers, producers and onlookers, many of whom are dedicated to breaking away from the tours of mainstream musicals. The likes of Anselmo, Bell and Issa — none of whom had ever attended before — all said the spectacle was overwhelmingly eye-opening, opening their horizons beyond the well-traveled world of American theater. The pair of “Atlantic” musicals — which Anselmo said are undergoing preliminary talks to run in a Chicago-area theater — received excellent reviews from Scottish media amid some other 3,400 shows that played in locales as inglorious as a bathroom. Bell, however, said the lessons learned and perspective gained by the undertaking far outweigh the satisfaction of positive reviews.